Telesales and call center agents in France! Utilize our several years of experience in setting up and running call centers across the world. Multilingual customer support and call center outsourcing lets your business market itself globally. Inbound sales thru phone support, web chat and email replies. Order taking, technical support and virtual assistant. Small businesses or large corporation, all can enhance their market reach and customer affinity by using a virtual call center. Take advantage of VoIP telecommunication system and outsource to quality telecalling virtual staff in france call center. Reduce your inbound marketing costs by 30% to 40% immediately. 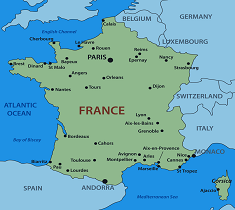 Are you planing to hire french inbound customer support service for you all customers in France?